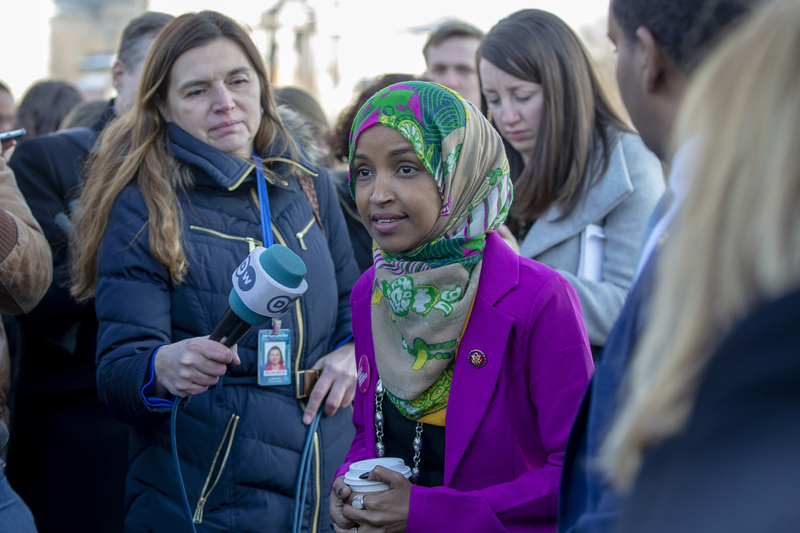 A CNN panel got heated Tuesday while discussing support of the Boycott, Divestment, Sanction (BDS) movement by Democratic Reps. Rashida Tlaib of Michigan and Ilhan Omar of Minnesota, and how their support is causing a divide in the Democratic Party. Mia Love, Symone Sanders, Jen Psaki and David Urban were on with Jake Tapper. “I do think it’s a generational thing. There has been a lack of nuance in the conversation when you talk about Palestine to the point where you cannot be critical of the government of Israel’s actions without someone calling you antisemitic, which some would argue is crazy because we can be critical of the United States of America and understanding we’re criticizing the United States of America, not the people,” Sanders stated. “I think it’s hard to have a nuanced conversation about the government that calls for the eradication of Israeli —,” Urban responded before being cut off. The debate only intensified from there. “The fact that Israel is on the front line when it comes to the fight on terrorism. They are the ones dealing with it on all ends. We get so much — she’s doing more than asking questions, just simply saying we should defund Israel, we get so much out of that technology,” Love added. “If you simply cannot denounce the Hamas position and say, listen, a government that calls for the destruction of another government isn’t one you have to sit down and respect,” Urban added. After a back-and-forth, Sanders and Urban ended their feud with Urban apologizing for the insinuation.